When you got your first a credit card, it came with a lower limit. Now that you’ve had the card for at least a year and used it responsibly, you feel like it’s time to get a higher credit limit. Only 40% of credit card users have asked for a higher credit limit on one of their existing cards, according to a March 2018 CompareCards.com survey. So how can you get one? When is the right time to ask for a credit limit increase? How do you know when it’s time to ask your company to give you a credit limit increase? There are several factors to consider before making that request. One, you use the card regularly, make at least your minimum payments on time every month and haven’t maxed it out. 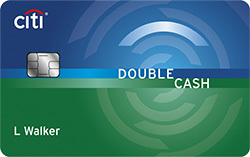 It’s good behavior that shows you’ve been using the card responsibly. These are factors your credit company will consider when you ask for a credit limit increase. Two, you’ve been a long-time loyal and responsible customer with your credit card company. If you’ve never received a credit limit increase, now may be the time to ask. Three, you may have gotten a big raise in your current job, or you may have taken a new job that came with a nice salary bump. Add this to a demonstrated responsible use of your credit card and it helps to make a good case for you to get that limit increase. If you don’t fit within any of the above categories, you may decide to ask for a credit limit increase. Here’s how you do it with the top credit card companies. American Express looks at several factors when deciding on credit limit requests, including overall debt relative to known financial resources, credit bureau reports and scores, payment history, reported income and usage habits. You can sign onto your online account and click on “Increase Line of Credit” to make the request. Your account must have been open for at least 60 days before you can ask. Sign in to Online Banking and go to your credit card account details page. Choose the Information & Services tab and fill out the requested information. If your account is eligible, you will be allowed to request a credit line increase. You’ll need to provide proof of your total annual income, employment status and how much you pay on your mortgage or rent so the card company can verify that you can handle more credit. Most times, the request is approved immediately. Otherwise it could be between three and 10 days as your request is reviewed. If you want to ask for a credit limit increase on a Chase card, you can’t do it at Chase.com. You must call (800) 432-3117 and speak with a live human being. Chase considers things like gross annual income, monthly housing payments and employment status when it reviews your request. While Chase considers what it calls the most appropriate line increase amount based on a customer’s income and credit profile, it does allow you to request a specific credit line. The majority of requests are approved instantly, while a small number may require a loan underwriter’s review, which can take two days on average. If your request is declined, you can ask them to reconsider. This is handled by a group of Chase loan underwriters trained to gather additional information to help with your evaluation. For Discover, it’s pretty simple: When a cardmember requests a credit limit, it looks at whether or not they have paid their bills on time. The credit card company also looks at your credit utilization rate — the ratio of your outstanding balance to your total credit limit. They want to see that this ratio as low as possible because it shows that you’re more likely to be able to pay your balance. Discover also looks at salary and monthly expenses because having access to more discretionary income is a positive indicator of one’s ability to pay their bills, making it more likely to get that credit limit increase. To request one, log into your account. If you’ve had an account for at least a year and it’s in good order, you may be eligible for a credit limit increase. To request a credit limit increase, call the company’s customer service at 1-800-642-4720. The card company will ask you for updated income and a decision will be made based on your qualifications. Wells Fargo provides a decision within minutes of processing your request. But if more information is needed or a further review is required, the decision process may take longer. If rejected, cardholders may ask for a re-evaluation and provide additional information for consideration to the company’s credit operations team. Your credit limit increase request has been declined. So now what can you do? Give it time. For new accounts, make your full payments on time and watch how you spend on the card. Then request an increase after 10 months — but know that it will probably come with a hard pull. Catch up. If your account is past due or you’re not making the correct monthly payments, use tools like autopay and account alerts to keep it current. This will help with your credit score and boost your chances for future credit limit increase requests. Use it or lose it. Credit card companies want to see you using your credit. You need to do that — but in a responsible way. You can spend on the card and pay it off every month or keep a reasonable balance on it and make your minimum monthly payments on time. Boost that credit score. If your score is low, look at your credit reports again and see if there’s any inaccurate information on it. To avoid delinquencies, make sure your payments are sent on time and at the minimum payment (although you should pay more if you can). The most important thing to do before asking for a credit limit increase is to ask yourself if you can handle it wisely, said Schulz. “If you’re simply going to see the extra limit as more money for you to spend, you probably shouldn’t ask for it,” he said. 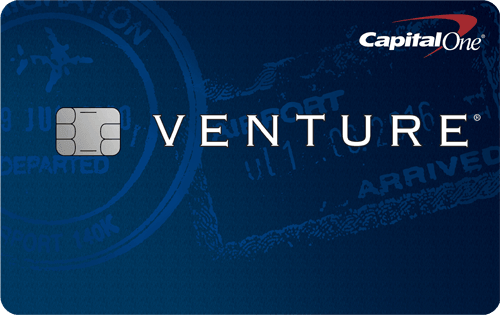 If you’re ready for a new card, check out our picks for the best credit cards available. If you use a credit limit increase wisely, the effect will be largely positive, said Schulz. “Some banks do a hard pull on your credit when you request a credit limit increase, though not all do. If they do, you’ll likely see a very small, temporary dip in your credit score,” he said. However, chances are good that any dip you see will be outweighed by the impact of that higher credit limit on your utilization rate, said Schulz.